Can I interest you in a piece of this luscious, tempting, Sinful Triple Chocolate Fudge Poke Cake? It’s rich and gooey! …Oh my goodness! It basically melts in your mouth. Totally sin-ful 5 Star worthy it in my book! Hard to stop at one piece, trust me! I think I gained 5 pounds just gazing at it. 🙂 I know I probably did eating it, because I DID eat more than one piece! I won’t go into specifics how many…it might shock you! No denying that fudgy decadence! I used Betty Crocker’s Triple Chocolate Fudge Cake , Jell-O chocolate fudge instant pudding and Chocolate Fudge Frosting and used a 9×13 pan . You can’t go wrong serving this up any ole’ time! 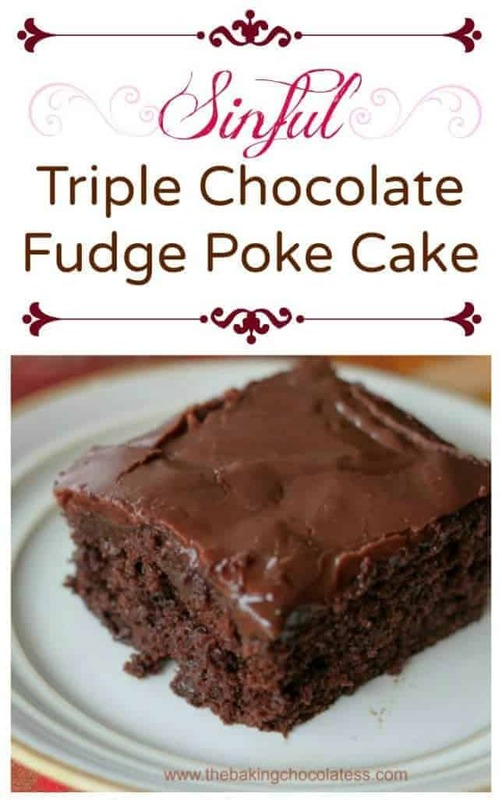 Sinful Triple Chocolate Fudge Poke Cake is definitely a ‘chocoholic’ family favorite around here. If you have an obsession with poke cakes, check these out too! 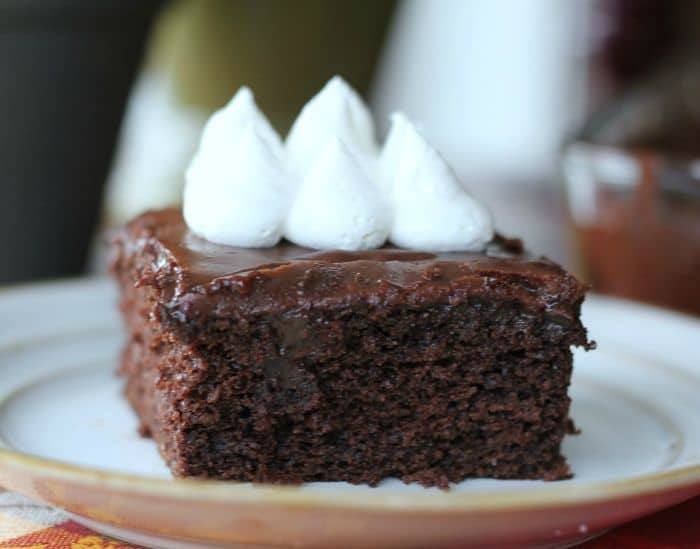 Serve this delicious, gooey Sinful Triple Chocolate Poke Cake with some whipped topping or if you're like my husband, put it in the microwave for 20 seconds and top it with whipped cream or ice cream! Chocolately good! 1 Box Betty Crocker Triple Chocolate Fudge cake mix prepared and baked. 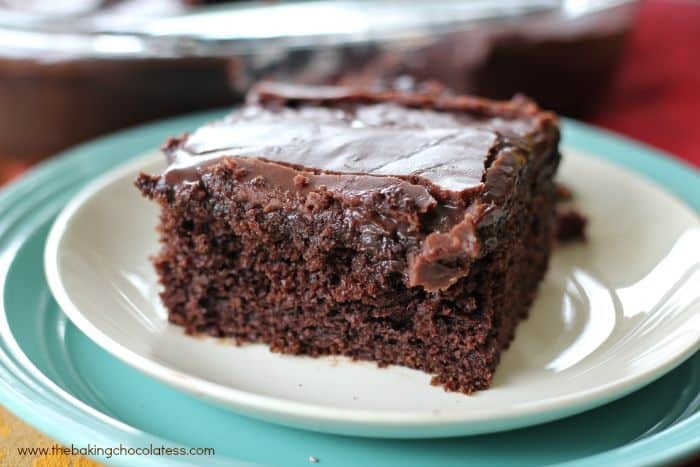 Bake cake in a 9 x 13 pan, using vanilla unsweetened almond milk or water, vegetable oil and eggs as boxed recipe states. While cake is still warm, poke cake every 1/2 inch with handle of wooden spoon. In medium bowl, using mixer, beat pudding mix and milk for a minute or two. Pour pudding evenly over cake. Place cake in fridge for 30 minutes. Put chocolate frosting (leave in tub) and microwave 20-30 seconds or until it's just melted. 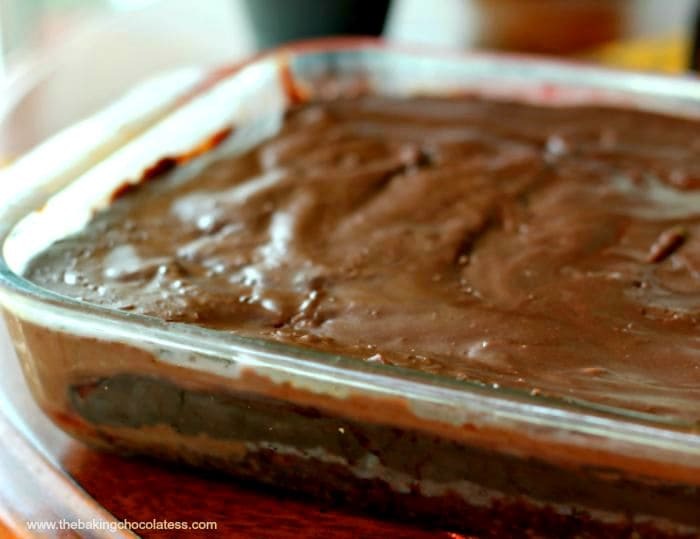 Stir and pour on top of pudding layer and place cake back into the refrigerator. Add whipped topping for an added treat! This cake looks so good! 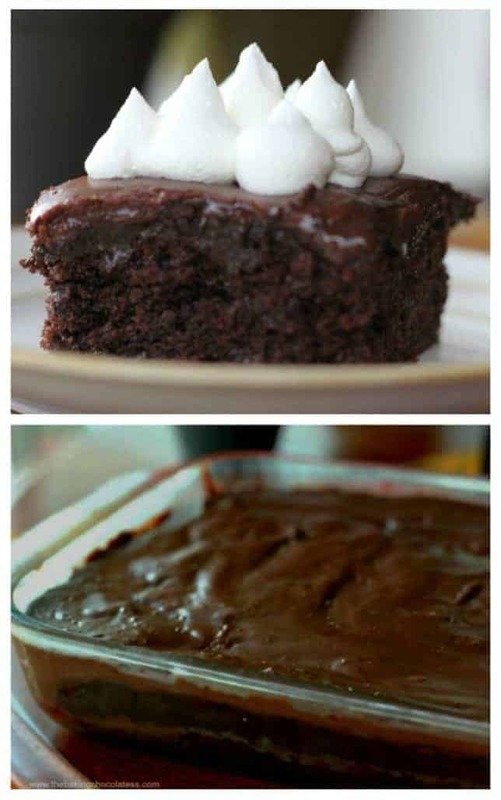 I love baking and I love chocolate cake so this is definitely a recipe that I need to try! 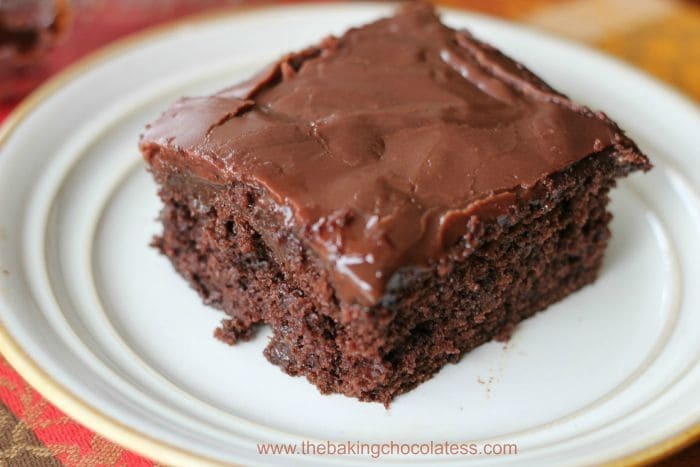 Wow…this recipe has me totally craving some chocolate right now!!! Thank you so much for sharing at Share The Wealth Sunday! This looks totally sinful indeed girl!!! Yummm I’m so drooling! Pinning!